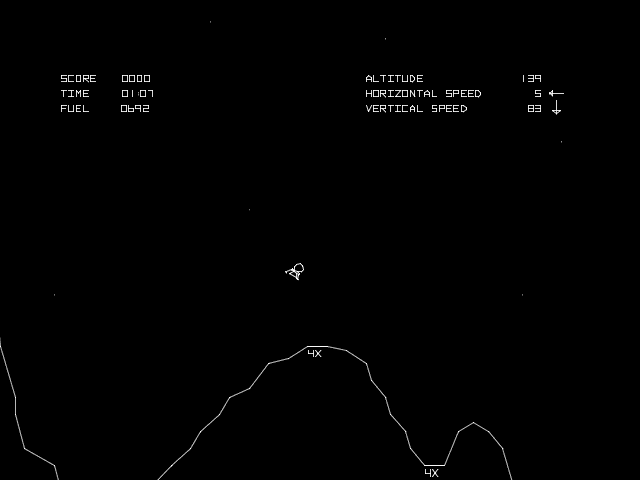 The “launching to space” and “landing on another world” angles of gaming have a heritage stretching as far back as the days of Apollo. While I generally don’t likeWikipedia as a source, there is a decent article that explains the origins and development of these types of games, which usually involved navigating a lander of sorts among rocky portions of a world. 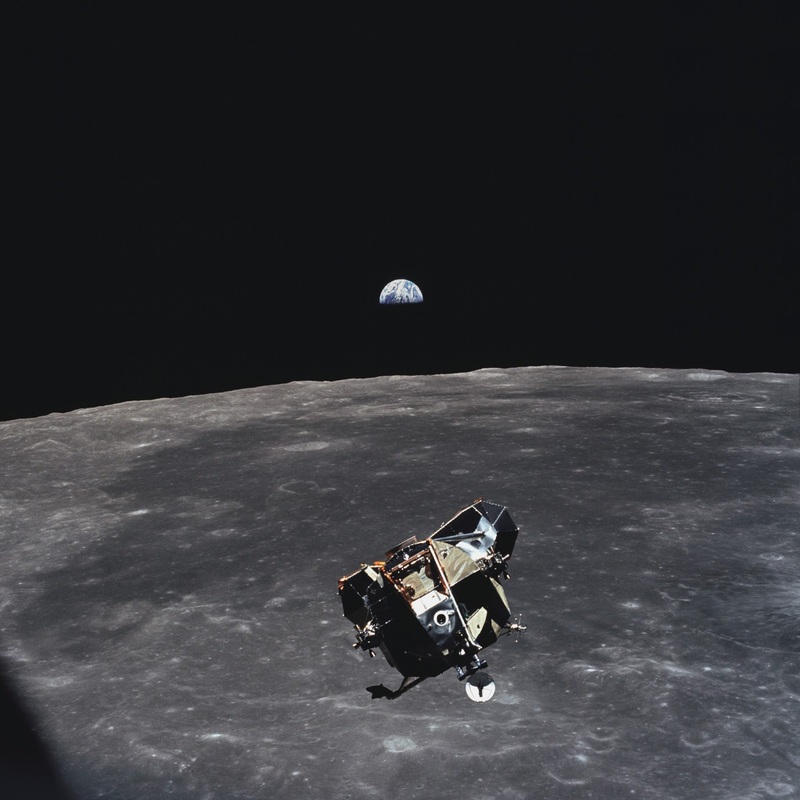 Beginning in 1969, the golden year of the first Moon landing, those interested in computer-based gaming were looking to land their own Armstrongs and Aldrins upon the lunar surface. 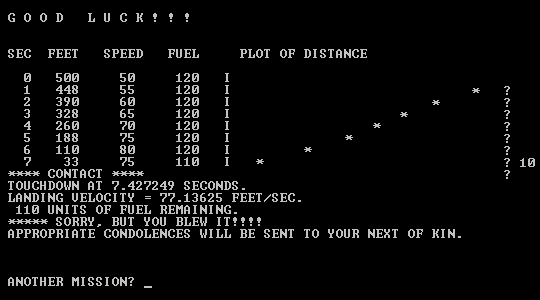 One of the earliest versions was even called Rocket, and had a quaint, if mercilessly blunt, “Game Over” screen. While countless variants of this game have been created in ensuing decades, Lunar Lander, with its Apollo vibes and its simple LEM with a “flaming” engine, has a certain “of its time” charm. It’s not as exciting or visually stunning as more modern space simulators such as Orbiter and Kerbal Space Program, but it’s still stellar (okay, dumbest pun ever). Read more about the Lunar Landergame and its various incarnations here and here. What the game looked like. Video from Old Classic Retro Gaming on YouTube. 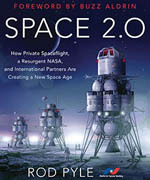 Emily Carney is a writer, space enthusiast, and creator of the This Space Available space blog, published since 2010. In January 2019, Emily’s This Space Available blog was incorporated into the National Space Society’s blog. The content of Emily’s blog can be accessed via the This Space Available blog category. 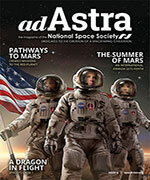 Note: The views expressed in This Space Available are those of the author and should not be considered as representing the positions or views of the National Space Society.